The ProForm 750R is the newest model in the lineup, joining the popular 440R and giving users a more advanced option for enhanced training capability. 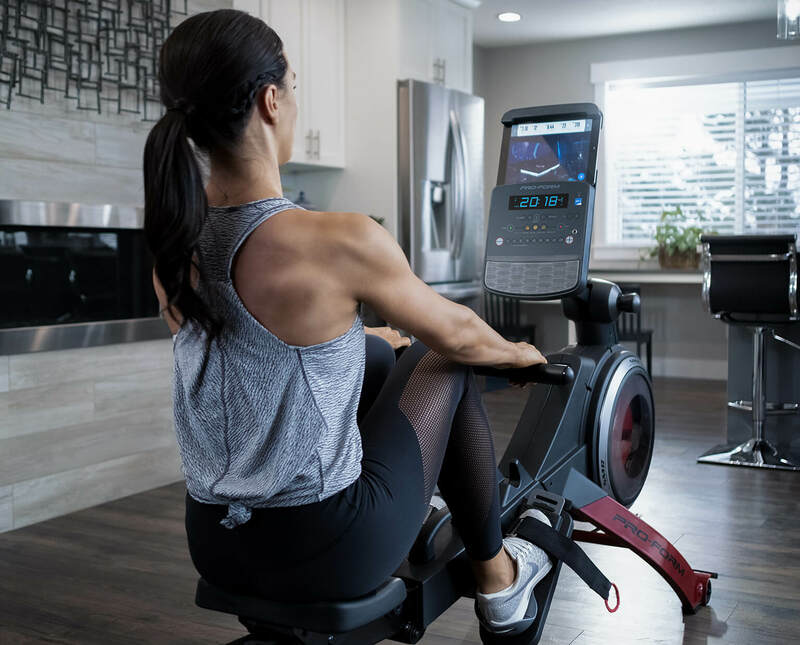 With built-in interactive training, plenty of resistance levels and diverse workout programs, this rowing machine is a great choice for home use. The 750R is one of the sleekest looking cardio machines that ProForm sells, with modern functional design, red accents and plenty of adjustability. Dimensions: 45.5" x 22" x 86.5"
It's nice to see that ProForm is now offering a more advanced rowing machine as although the 440R is a great rower for the price, it is very basic. And the company offers more advanced treadmill, elliptical and bike options...so why not rowing machines as well? So the new 750R is a welcome addition to the lineup and although it gives you much more capability than the 440R rower, it's still very affordable at well under $1,000. For starters, it's a much more durable machine with increased adjustability. The console swivels up and down so you can find the perfect angle for your workout. It also has a very cool upward adjusting tablet holder above the console that you gives you the perfect fit. Just like most of the other ProForm cardio machines, the 750R comes with iFit Coach, something missing on the 440R. This is an interactive program that gives you access to personal trainers all around the world and on demand classes. You also get workout tracking and sharing and Google maps of any location across the globe. On top of iFit there are 20 built in workout programs, many more than on the 440R and you get 24 digital resistance levels to choose from. The motion is smooth and natural and you can adjust the handlebars as well as the pedal straps. The SpaceSaver design, a hallmark of the NordicTrack and ProForm brands, allows you to quickly and easily fold up the machine after use for easy storage. All in all, the ProForm 750R is a great all around rowing machine that fits perfectly into the home gym environment. 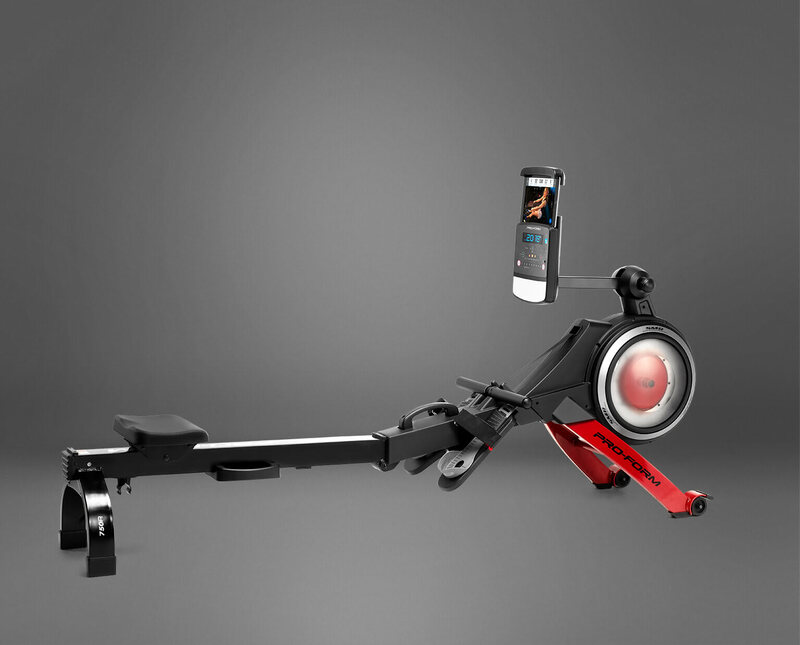 How Does the ProForm 750R Rower Compare to the Competition? At around $800 when it's on sale, the ProForm 750R definitely competes well with most of the other rowing machines on the market today. The iFit Coach definitely sets it apart from many others, as does the modern look and feel, high level of adjustability and built in workouts and resistance levels. However, you might want to consider the Concept 2 Model D, which at just $150 more than the 750R is one of the best rowers on the market today, and is found at high end gyms across the world. That is more of a serious rower's machine, so if you want something a bit more casual then the 750R might be a better choice for you. 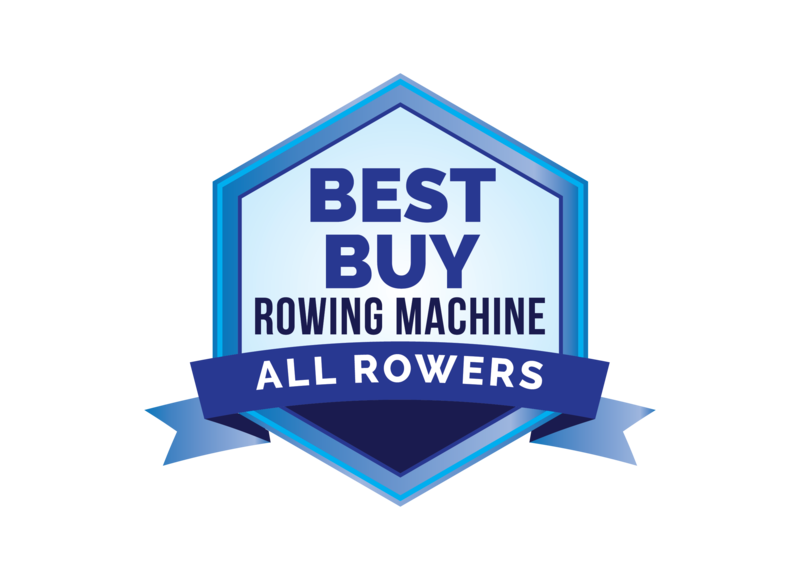 You can take a look at some of our other top magnetic rowing machines here. If you're in the market for a rowing machine that's a little more advanced than a basic, entry level one, the ProForm 750R is definitely a good choice. It has a lot of unique features that you won't find anywhere else and has a fresh look that will fit well into any home gym environment. Note that iFit Coach does require a yearly membership fee, but as of this writing ProForm is including one year for free. The Google maps and on demand training alone are well worth the fee, and it gives you a lot of other features and capabilities as well. Check out the 750R, as well as the similar NordicTrack RW200, and see if one of these two popular machines is right for you. Get more info and special sale pricing on this rower here!